The construction of an interoceanic canal in Nicaragua, a longstanding controversy, has once again become a source of concern in recent years, in both the global shipping industry and the world at large. Since the canal was green-lighted by the Nicaraguan government, scientists and specialists have sharply criticized its potential to inflict lasting environmental and societal damage. The vocal doubts raised by many experts regarding the canal’s feasibility have resulted in several recent postponements of construction. Studies of the project’s challenges and its potential impact on international shipping suggest that the canal will potentially have wide-ranging implications on vessel sizes, the global routing of maritime freight flows and port development along the Atlantic and Pacific coastlines. Many problems now hinder the project, from its economic and engineering viability to its environmental and safety hazards. 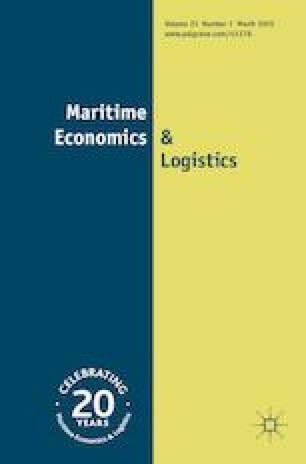 This research provides a systematic analysis of the potential impact of the Nicaragua Canal on international shipping, as well as the various challenges the project faces. The authors gratefully acknowledge support from the National Natural Science Foundation of China (Grant No. 51409157), Shanghai Pujiang Program (17PJC053), Program of Humanities and Social Sciences of the Ministry of Education of China (14YJC630008) and Shanghai Science & Technology Committee Research Project (15590501700). At the time of writing, Xiang Liu was partially funded by the Department of Civil and Environmental Engineering and the School of Engineering both at Rutgers University. The authors are solely responsible for the views in this paper. MOFCOM. 2012. Risk warning on the construction project of the Nicaragua canal. Ministry of Commerce of People’s Republic of China (in Chinese), http://www.mofcom.gov.cn/article/ztxx/xmlh/xmi/201211/20121108437765.shtml. Accessed Dec 15 2016. Russell, C. 2016. Australia, Brazil boost China iron ore import share. Reuters. https://www.reuters.com. Accessed 27 Jan 2016.